This past weekend, my parents came to Tampa to celebrate my Mom’s birthday. On Saturday, we went to dinner at Ruben’s Cubans Cafe, which opened in 1986. This restaurant is located on Busch Blvd. I like cafes and diners more than other types of restaurants. So, with that said, Ruben’s Cubans Cafe’s atmosphere was something I really appreciated and enjoyed. Now, I’ve mentioned before that I don’t eat pork or beef. As usual, I was worried about finding something on the menu that I could eat. Fortunately, I found something and I found it quickly. I ordered the breaded grouper with yellow rice, plantanos and a side salad. The meals were also served with Cuban bread. This was my first time trying grouper, and I was so pleased with the taste. It was well seasoned, breaded and fried. The yellow rice was fluffy and well-prepared. The plantanos were fresh and fried just right, which allowed it to be full of flavor. They were quite tasty! I am a huge bread eater. Needless to say, I indulged in the Cuban bread that was toasted and buttered perfectly. My side salad was pretty mediocre; there was nothing special about it at all. As my beverage, I ordered a cafe con leche. That was the best one I’ve ever had. When my parents lived in Tampa years ago, my Mom would always go to Ruben’s Cubans for a cafe con leche, and now, I see why. I will go on to admit that since I was not paying, I took full advantage of the situation. I ordered an explosion milkshake with Oreos and Nutter Butters for dessert. It was so good!!! It tasted nothing like the milkshakes you get at fast food restaurants; it was ten times better! Our server’s name was Natalie. She was very helpful and attentive to us. She smiled and cleaned away our dishes in a timely manner. She checked on us often, but wasn’t overbearing. Her service was awesome! All of the employees seemed to be very keen and focused on servicing the customers. Overall, Ruben’s Cubans Cafe is a pretty decent restaurant. The service was great. The food was good. I would recommend this restaurant and plan on going again. Posted on Thu.Jul.12.2012, in Bon Appetit and tagged Busch Blvd., cafe, cafe con leche, cuban bread, cuban food, cubans, diner, Dining out, dinner, eating, eating out, fast food restaurants, fish, food, good atmosphere, indulged, plantanos, Restaurant, restaurants, review, Ruben's Cubans Cafe, Rubens Cubans, Server, service, Tampa, Tampa Bay, travel, vacation, yellow rice. Bookmark the permalink. 2 Comments. 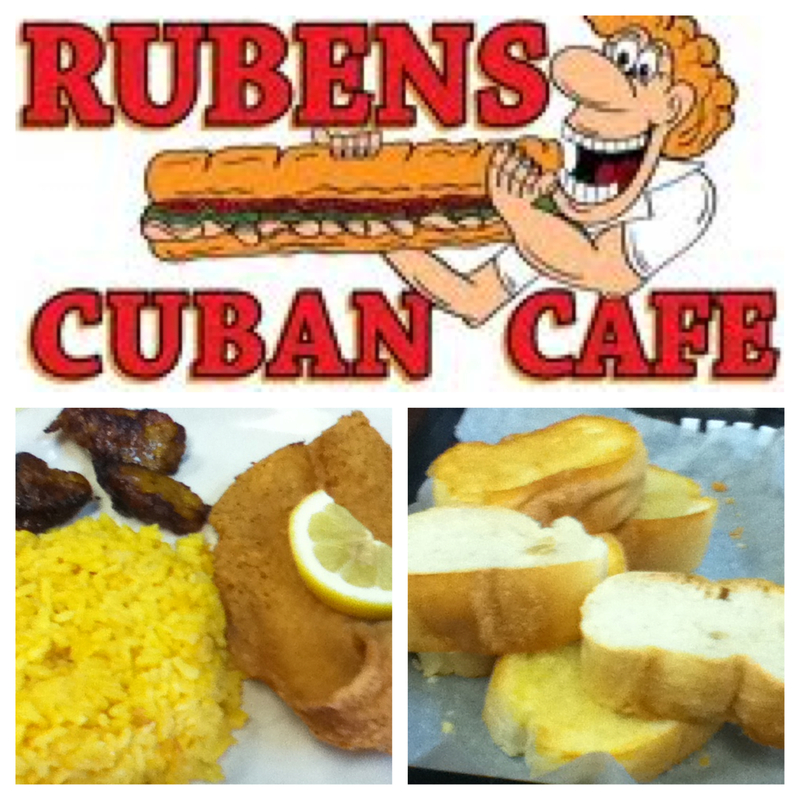 Ruben’s cafe con leche…mmmm the best!! !